You have likely heard A.M. or P.M. (also seen as AM and PM, a.m and p.m., or am and pm) used to reference the timekeeping in several situations without ever giving much thought to why and where this time keeping system originated. Quick Reference: What Does AM and PM Stand For? There are two primary timekeeping systems used today in the world. 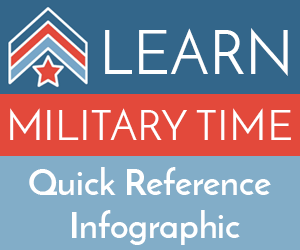 The first and most popular is the 24 hour clock for which military time is based on. The second and most popular in the United States is the 12 hour time keeping system. The twelve hour time keeping system is used by the United States, Australia, Malaysia, New Zealand, Columbia, Philippines, Many areas of Canada, and informally in other countries. History and Origin of A.M. and P.M. The use of a.m. and p.m. dates back to 1500 B.C. with the invention of the sundial in ancient Egypt. The Egyptians are credited for dividing the day into 24 parts or “hours.” A sundial, as it implies in its name, uses the sun’s positioning in the sky to determine time. 12 hour timekeeping is notated with Noon (12 p.m) as the meridian (center) instead of midnight (12 a.m) as the sundial would not work in the middle of the night. The creation of AM (ante meridiem or before noon) and PM (post meridiem or after noon) was necessary to describe how close the sun was to the meridian (12 Noon). Since sundials were invented more than 1,000 years before the notation of zero, the number assigned to the middle of the day was 12. From this invention came many variations of sundials, clocks, and timekeeping devices that led us to modern digital time keeping. A.M. and P.M. have been in use for more than 3,000 years. But, it wasn’t until the 17th century did the notation of AM and PM become widespread in English-speaking countries. Each hour of each day in the 12-hour timekeeping system is notated (suffixed) with an a.m. or p.m. to indicate if the time is in the morning (AM), afternoon (PM), or evening (AM and PM). The simple way to remember when to use noon vs midnight it to remember that noon is during the day (sunlight) and midnight is during the night as notated in its name.